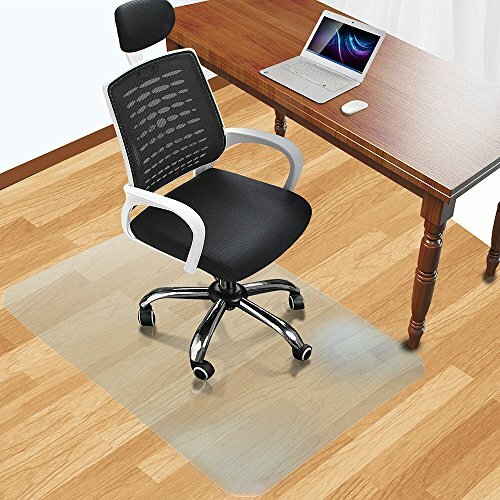 Office Desk Chair Mat ,Give your floor and furniture the best protection with this PVC Matte Home-use Protective Mat for Floor Chair. It will bring your life a lot of benefits. This mat can effectively block the surface of objects and reduce the scratches when your furniture is moving on the floor. The matte surface can increase the frictional force and avoid slipping. Superior PVC material makes it durable and reliable for long-lasting use. The reasonable price is suitable for each clever shopper who focuses on quality and price. Made of PVC, Free BFA, Free phthalates. Free volatile toxins, so you don't have to worry about it endangering your health. Provides the ultimate carpet protection.Thick 1.5MM, Made from long life PVC, these chair mats are thick and sturdy yet.This mat can effectively block the surface of objects and reduce the scratches when your furniture is moving on the floor. Transparent material on the floor can make your floor look easier, Spend most economical money buy this best mat, you will never regret for your choice when you got our mat. If you have any questions about this product by YOSHIKO, contact us by completing and submitting the form below. If you are looking for a specif part number, please include it with your message.